Lauren Carmen: The Bag of my Dreams! 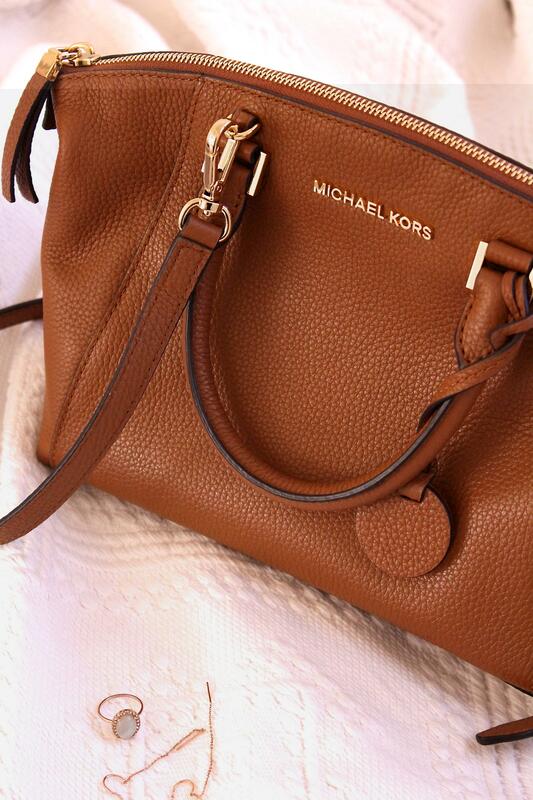 The Bag of my Dreams! When it comes to name brands or designer-anything, its never been an important factor for me. If the item in question looks good, is of a good quality and something I really love, then honestly I don't care where it's from. One of the things I enjoy is buying items that are affordable (let's be honest, I am a student) but still look amazing. With this in mind though, I am a girl who can't deny having always dreamed about my first 'big name bag' and what it would feel like purchasing it with my own, long-saved money. 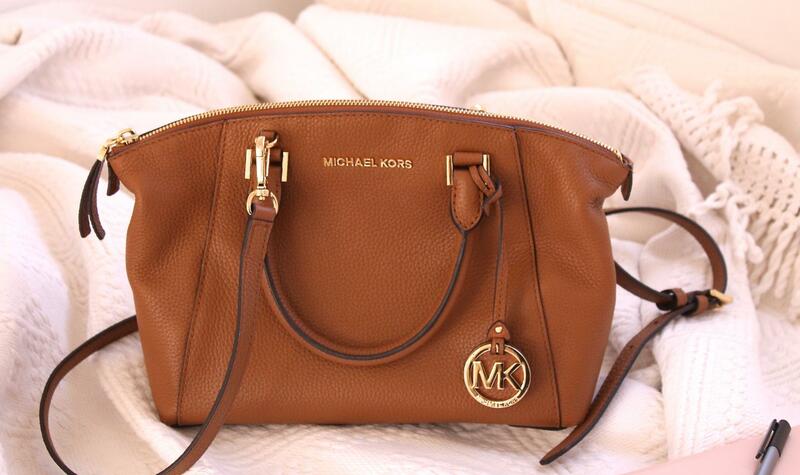 This ultimately brings us to the reason of this post: I bought my first Michael Kors handbag! Before I set off on my holiday to New York, I had no intention of buying this handbag, or anything of the sort. This soon changed though, as when we went to Macy's, they were having a huge sale in all their departments! And basically it was just meant to be. 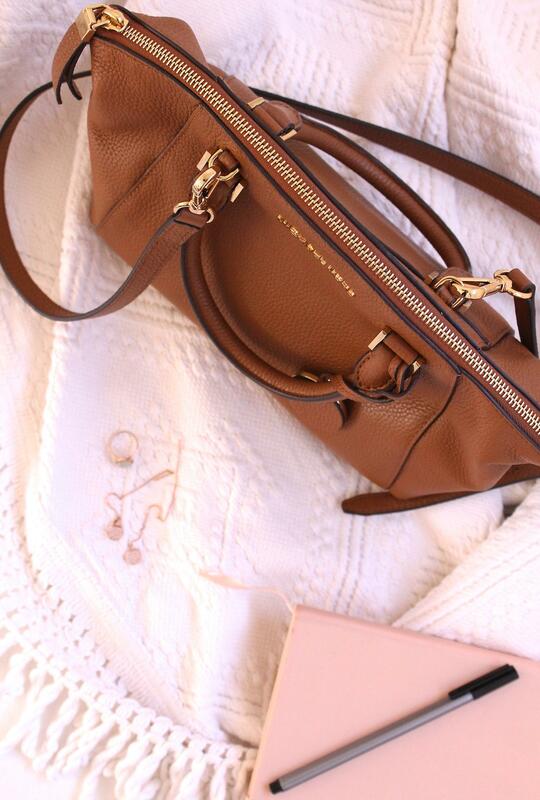 I did consider buying a square shaped, baby pink coloured, Michael Kors handbag at first, which was such a pretty sight! When I thought about it however, I realised that I wanted this bag to be more practical, something I could fit all my things into and also a bag that I could wear everyday, with anything. And believe me, I spent a lot of time thinking about this decision! It was only natural then that when I spotted this beautiful, rich brown, leather one, I knew it was the kind I was looking for. The leather is a really soft kind, allowing the bag easily to take on the shape of the contents it holds. There are three "compartments" inside - two on the sides and then a middle one, secured with a zip. 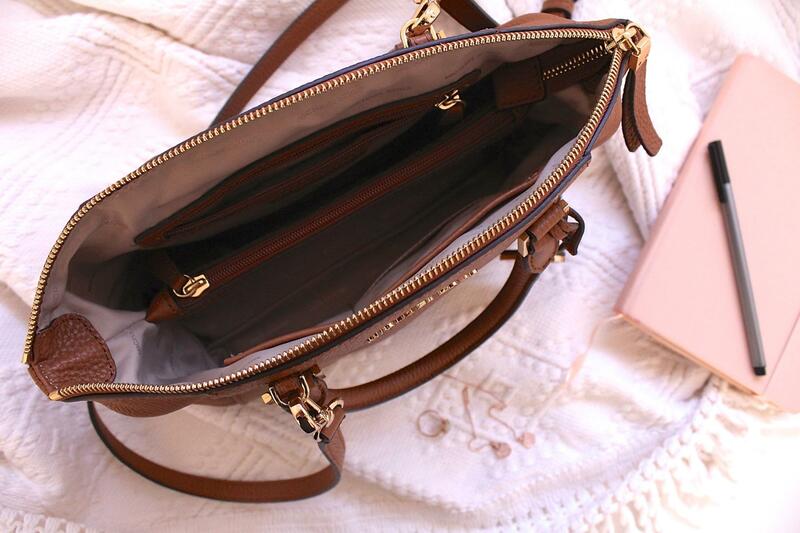 My favourite part about it is that it has both small handles and a long, shoulder strap. The small handles make the bag feel very elegant and classic, while the longer shoulder strap creates a more practical way of holding it. The gold accents are also something that grabbed me instantly! I have been loving gold lately, and it really looks so beautiful with the brown leather. I also can't forget to mention the famous 'MK' that is attached to the one handle. 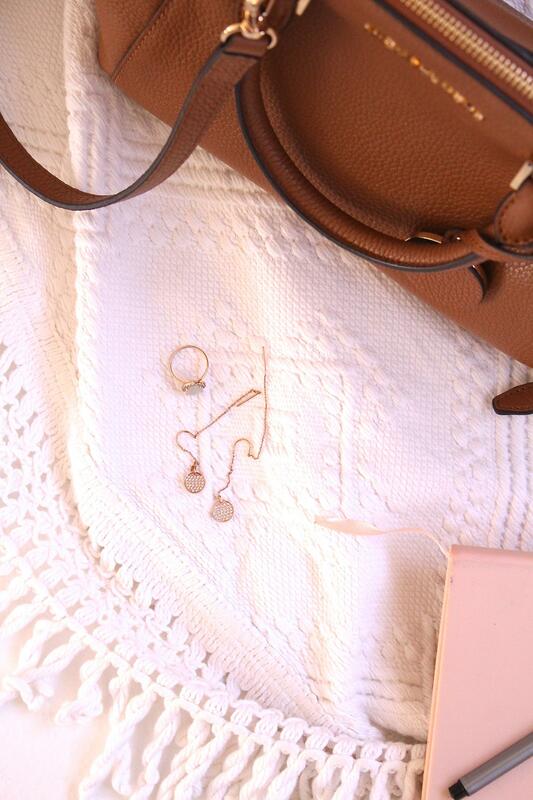 It's these small details that make the bag feel so, so special. I certainly think that if you're buying a designer bag, it should without a doubt feel special for you! 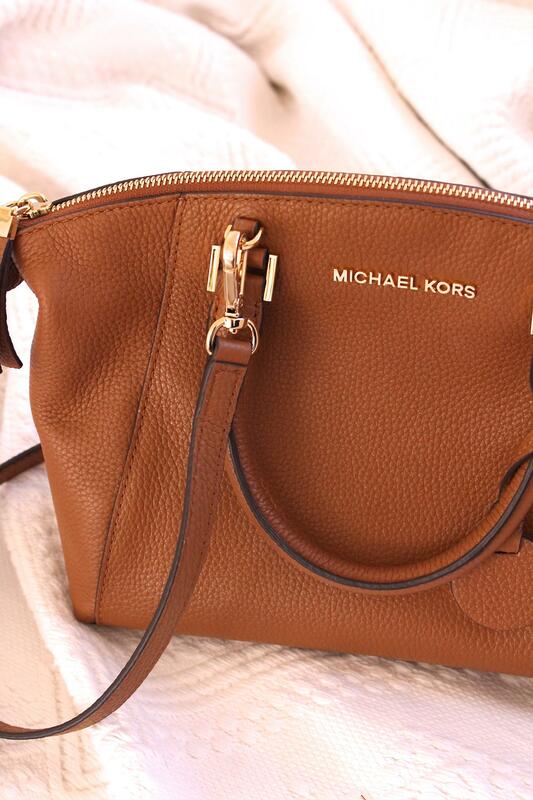 To sum up, I would definitely call this the bag of my dreams! Although seeing as I have it now, I suppose I don't have to dream about it...! I would also just like to say that in no way is this me boasting or anything horrible like that. I worked and saved my money for this and I am so proud that I got to purchase my first designer bag myself! And as with all things on my blog, I really enjoy getting to share what I'm loving, wearing, using, etc. 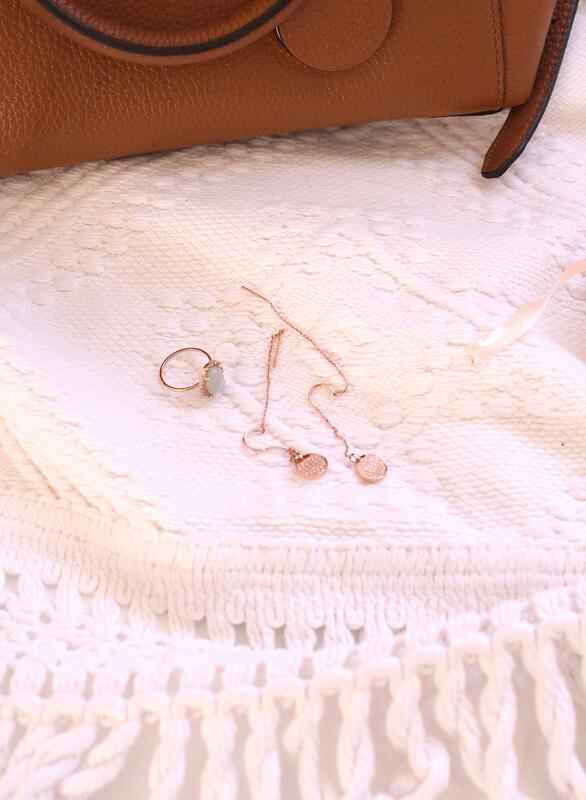 On that note, I really hope you enjoyed this post and all the pictures of my very-loved handbag! I would also loooove to know what you think of it! ?